The heavy, prolonged rainfall experienced across the UK over the past few days has highlighted many damp-related issues in people's homes. This has been particularly the case with regard to weat­her­pro­ofing flat roofs and porous walls. Persistent rain has meant standing water has become an issue, as has leakage and damp patches because of water ingress. All exposed structural surfaces are vulnerable to the problems caused by damp though flat roofs are particularly at risk. Making these surfaces waterproof is vital to the the safety and comfort of the building's inhabitants and to the structural well-being of the property. Applying a sealant to the roof is a quick and instant solution. Twistfix Roof Sealing Paint is an innovative acrylic roof sealant that works right away, sealing any leaks in most roofing materials. It can be used preventively to ensure long-term water tightness but is also good for emergency repairs, providing an instant seal, even in the rain. Generally requiring only a single coat and no primer, the elastomeric roof sealing paint contains added fibres which enhance its flexural strength, allowing the coating to bend with the natural thermal roof movements. 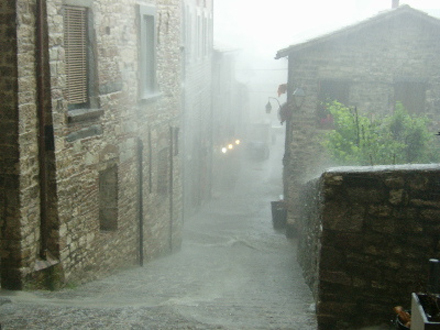 For weat­her­pro­ofing porous masonry, Twistfix Damp Seal masonry water repellent cream is recommended. This high-strength thixotropic silane cream gives a totally vapour-permeable waterproof coat to brick and stone structures. After application, the cream gradually penetrates deeply into the capillary pores of the stonework. One fully absorbed the the penetrating damp treatment is invisible and capillary suction is suppressed, meaning the potential for spalling, frost attack and damp-staining is greatly reduced. The cream, which easily adheres to vertical or overhead surfaces, also protects concrete from the damaging effects of chloride from marine or de-icing salts, substantially lengthening the life of the structure. The outstanding surface impregnation exhibited by the silane cream makes it 4 times more effective than liquid water repellent. 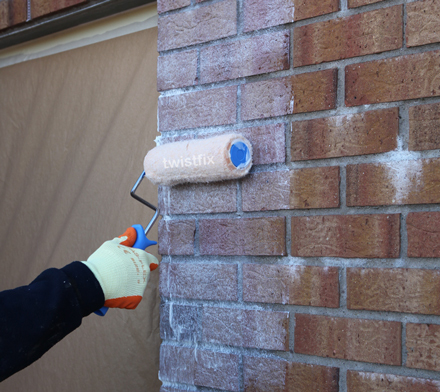 The Twistfix range of damp proofing, mould removal and masonry crack repair solutions have a long-standing reputation for quality.